I’d like to share with you a bit about myself and my history here at Lapp Structures. My name is Allen Fisher, and I have been working for Lapp Structures for the past 16 years. Mike Lapp, our current president, was a good friend of mine growing up. His father, Amos, started a small company building sheds on the home farm about 30 years ago. 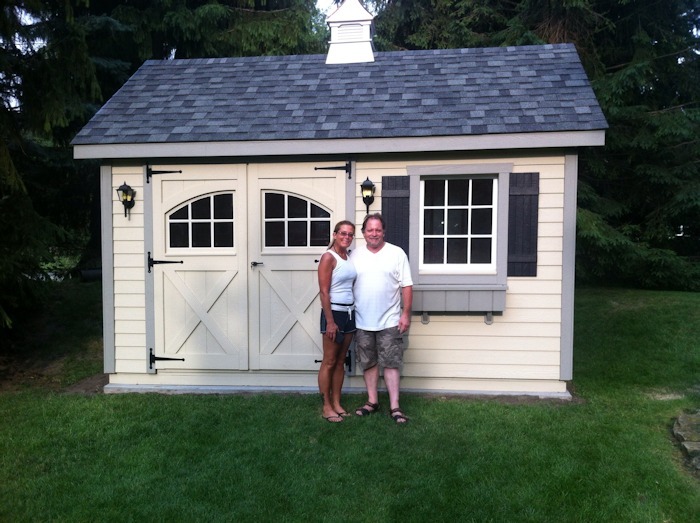 As the business began to grow, Mike convinced me to come on board and help build the sheds in their shop. Mike would do the framing and I would do the painting and installing the shingles. As time went on, Amos wanted to free up his schedule and began to give Mike and I more responsibilities. 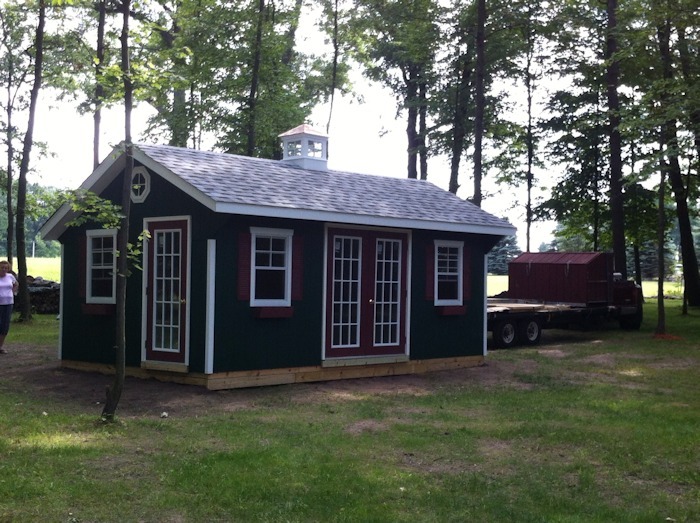 Mike began coming up with some custom shed designs, and it turned out he had a real gift for it. The company outgrew the building that We were in, so we moved into our current building in New Holland, PA several years later. Mike and I began doing our own on-site setups after the expansion, but in time he got too busy and moved into the office full time. We also started doing our own deliveries as we wanted to ensure that our customers would have a competent delivery person and be happy with their installation. We currently have two full time drivers delivering our completed buildings, as well as one truck doing on-site setups. My current job description is in logistics as our dispatcher, as well as in sales. I love interacting with Lapp’s customers as they are normally excited about the building and service that they receive. We have great delivery drivers, and I know they will do what it takes to make our customers happy, which makes my job as dispatcher so much easier. I also like to interact with the guys in the shop that build the sheds, as I got to know them when I was still on the install crew. I get a lot of satisfaction from hearing customers call in and tell me what a good job our guys did and how happy they are. When I get a chance, I go out with the on-site setup crews and enjoy interacting with our customers on a face to face level. We always seem to have a great time with our customers, and that is something I miss sitting behind the desk. This past weekend there was a mix-up with a shipping company taking one of our buildings out to Michigan, so I decided to take one of the guys from the shop and go out and take care of it. We had another job that needed to be done in the eastern part of the state, so it worked out well. Although it was a taxing two days, it was great to be out on the road again. It was also encouraging to have customers tell us that they were beyond happy with the service they received, and that it was so refreshing to purchase a product like this and have it exceed their expectations. In today’s world that isn’t as common as it used to be, and I’m amazed at how many companies seem to have poor customer service and try to pass off responsibility. But that is for another blog on another day. The pictures you see here are of the two buildings we built this past weekend. I hope, if you are reading this, you will be one of our next happy customers that I have the privilege to interact with in the future!.